Limes are the star addition to many of our favourite cocktails, a savoury burst to many marinades and dressings, and can add a taste of freshness to all sorts of meals. But the mighty lime is more than just a decoration to the things we eat and drink. Including a glass of lime in our daily routine can work wonders for our heath. However, many people can’t stand the bitter taste of this tropical fruit and that’s why they tend to add some sugar in order to mask the bitterness. But taking the health benefits of natural lime juice into account, adding sugar to is completely absurd. If you want to preserve the properties of this magnificent fruit, you should consider natural sweeteners such as honey for instance. On the other hand, many wellness junkies favour 100% natural lime juice with naturally sweet Xylitol as a healthy replacement for sugar. This drink is easy to make by yourself because it requires only a few ingredients – limes, water and a few drops of Xylitol. Since Xylitol is a sweetener not so many people know about, it can be hard to find it at a supermarket. However, there are plenty of stores specializing in natural sweeteners where you can order at for a relatively affordable price. Oh, and there’s always the option to use bottled natural lime juice with added Xylitol. In fact, if you’re an individual who has problems with high blood sugar, or suffers from diabetes, Xylitol should be your preferred choice of natural lime juice sweetener. Xylitol is safe to use for people with diabetes because the body does not require insulin in order to break it down. For this reason, foods and drinks sweetened with Xylitol produce a much lower glycemic response than sucrose or glucose, making this sweetener a much safer alternative than honey. Are you wondering is the whole trouble worth it? Well, certainly yes! Lime has antibacterial properties and plenty of vitamin C which help boost the body’s immune system. 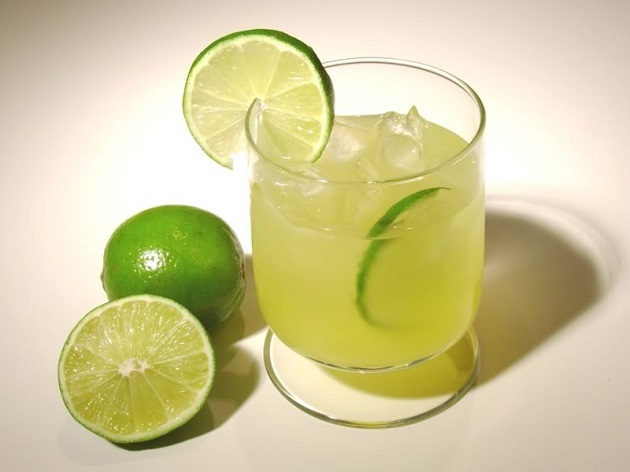 Regularly drinking natural lime juice is found to help prevent colds and treat the symptoms of flu. What’s more, lime is known to speed up the metabolism helping you detoxification the body and lose weight at the same time. And like other citrus fruits, lime is also rich in potassium which helps maintain nerve functions and keeps blood pressure levels balanced. Finally, if you really can’t stand drinking lime juice every day there are alternative ways you can add it to your diet. After all, we’re only humans and no-one is able to keep drinking the same thing every day. Luckily, lime juice goes extremely well with so many meals (http://www.bbc.co.uk/food/lime_juice), ranging from sweet to savoury. You can add it to your steak, your salad, and together with seafood it makes for a mouthwatering combination. Alternatively, you can also include natural lime juice in your protein shake (https://www.theseasonedmom.com/key-lime-pie-protein-smoothie/) for a vitamin filled, muscle boosting drink. A Canteen for Your Beer? Finally.